Vol 161 #3833 16th September 1988 of the British Magazine, Model Engineer. Features in this issue includes Nigel Minor G.N.R. 2-8-0 Class 01 locomotive for 2 1/2 in. 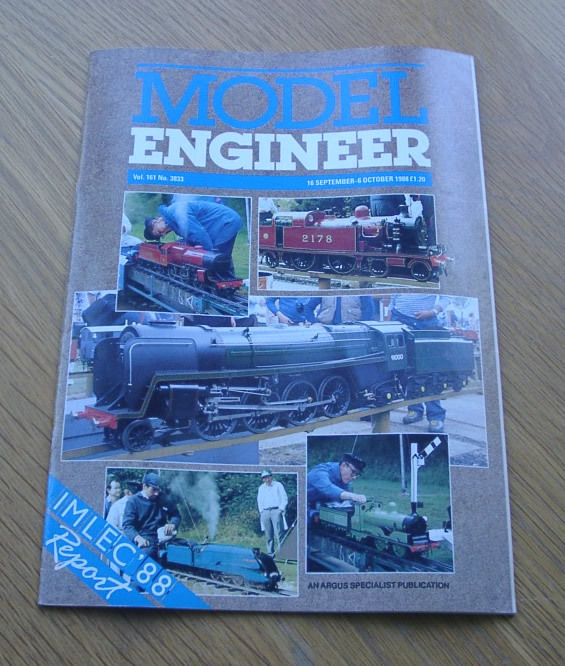 gauge (part 6), Clayton Wagon – research findings (part 4), Hymek – Sratchbuilt “diesel” locomotive (part 4), Making Tracks – Ground level permanent way (part 2), Vertical Milling (part 4), Trevithick’s Dredger Engine – a 1/16th scale model (part 13) and I.M.L.E.C. ’88 – fully reported.